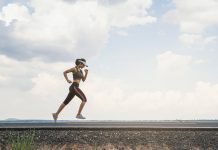 If you’re interested in fitness (just like me), then you’ve probably come across the words “Vo2 max” at some point or the other during your training. Heck, you might even know by now that it has something to do with oxygen use during exercise or something like that. Congrats. You’re on the right path. The fact is, most people may not have a clue about what it means—except that it sounds sciency and important. I mean, those “VO2 Max charts” can be quite intimidating and hard to digest. No one is going to blame you if you couldn’t decipher what they entail. It’s perfectly normal. So, what is the VO2 Max, and in any case, why should you care? Today’s post gives you the lowdown on the meaning of the VO2 max is, why it matters for recreational trainees, how to measure it as well as how to improve it. When it comes down it, the VO2 max is pretty simple: it’s the maximum volume of oxygen that a person can use. Let’s get deeper into the definition. Also known as “maximal oxygen consumption,” “peak oxygen intake,” and “maximal oxygen uptake,” in essence, VO2max is the metric that best describes your personal cardiorespiratory and aerobic fitness level. The VO2 max is commonly considered as the best indicator of cardiovascular fitness. It measures how much oxygen your body can absorb and use up during exercise. The greater the VO2 max, the more oxygen your body can consume—and the better your aerobic fitness is. Said otherwise, the VO2 max defines how aerobically fit you are. When you have a high VO2 max level, you’ll be able to pump more blood with each heartbeat. This means more blood to be transfered to the working muscles, which translates to better athletic performance—regardless of your chosen sport. Your VO2max depends on many factors, including how many red blood cells you have, how much blood your heart can spew out, how adapted you are to endurance training, etc. The units are usually measured in milliliters per kilogram of body weight per minute (ml/kg/min). It’s grounded on the premise that the more oxygen your body consumes during high-intensity exercise, the more the body will produce Adenosine Triphosphate (ATP) energy in cells. As you get older, your VO2 max decline. Most people reach their peak around their 20’s and some in their 30s. But after that, VO2 max starts to decline by roughly 10 percent per decade. Nonetheless, it’s always to possibly to reverse the aging process by increasing and improving your VO2 max (more on this later). It’s actually pretty simple. To improve your VO2 max, do plenty of aerobic exercises, whereas a couch potato lifestyle of donuts and coke lead to low cardiovascular fitness. The way you determine your fitness age is by comparing it to the average fitness date for people older, younger, and the same age as you. 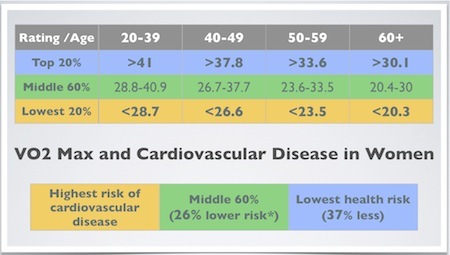 Research also found that the VO2 max also has a drastic impact on your lifespan. A low VO2 max has been correlated with higher risks of cardiovascular diseases, according to the American Heart Association (AHA). People who score low on cardiovascular fitness are also more prone to developing certain cancers, such as breast, lung, and gastrointestinal cancers, according to research. 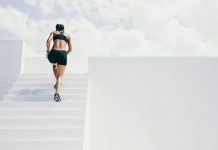 The next two VO2 max charts show the ideal levels of fitness for reducing your risk of cardiovascular diseases, according to research from the Cooper Institute. Figuring out your current VO2 Max gives you an accurate picture of your current fitness level. This helps you start at the most suitable level for you. It also helps you decide your training pace, and it’s an excellent way to monitor your fitness program (or lack thereof) for the medium and long-term. Here is a VO2 max Chart, taken from top-end sports, that shows normative data for VO2max in different population groups. What’s A Good VO2 Max? As I have discussed earlier, higher VO2 max are linked with a host of endurance sports, such as distance running, cycling, cross-country skiing, and rowing. For example, renowned ultra-endurance runner Kilian Jornet was reported at 92.0 ml/kg/min during the peak of his conditioning, while Norwegian cross country skier Espen Harald Bjerke reportedly scored a Vo2 Max of 96.0 ml/kg/min. But is it detrimental to superior running performance? Not likely. VO2 max is not the whole story. But it helps — a lot. A host of factors influence your athletic performance. These include skill training, proper technique, mental preparation, psychological profile, diet, lactate threshold training, etc. That’s why a recreational runner who scores low on the VO2 max could potentially become a much better athlete than someone with a high score. Although your genetics play a cruel rule in determining your VO2 max, there are plenty of things you can do right now to drastically improve your score. Mainly by increasing the intensity and duration of your training, or, if you don’t do any form of exercise and leading a sedentary lifestyle (stop doing that), simply by starting a workout program. As a beginner, your VO2 max will quickly and naturally improve when you begin doing more aerobic exercise. Nonetheless, as you get fitter, you’ll need to up the ante by incorporating more intensity into your training plan to improve your VO2 max. According to research, High-Intensity Interval Training, or HIIT for short, is the ideal way of improving your score, as it challenges your cardiovascular system to work to max effort for a short period of time. The word key here is consistent interval training. For faster gains, make sure to exercise at a pace that elicits your VO2 max—that’s roughly 3K pace—at least once a week. You can run, row, cycle, or do whatever you like—the key is to push hard during the intensity bursts and keep training consistent. Here’s a list of athletes with the highest recorded scores ever. 93.0 – Kurt Asle Arvesen, road cyclist. 92.0 – Kilian Jornet, ultra-endurance runner. 92.0 – Matt Carpenter, marathon runner. 91.0 – Gunde Svan, XC-skier. 88.0 – Anders Aukland, cross country skier. 87.4 – Marius Bakken, runner. 87.0 – Jon Anders Gaustad, cross country skier. 86.4 – Edvad Boasson Hagen, road cyclist. 86.0 – Thor Hushovd, cyclist. 86.0 – Ole Einar Bjœrndalen biathlon, skier. What Determines Your Vo2 Max? Your genetics and physical fitness play a crucial role. On average, sedentary males have a VO2 max of roughly 35 to 40 mL/kg/min, while females will score a VO2 max of approximately 26 to 30 mL/kg/min. That said, there are other factors that contribute to your VO2 max—at least to some degrees. Age. 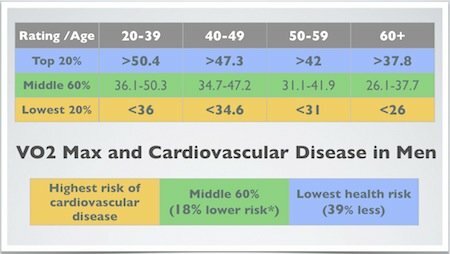 You reach your highest VO2 max between the ages of 18 and 25, then it gradually decreases as you age, declining by roughly 30 percent by age 65. Gender. Factors such as body size, composition, blood volume, and hemoglobin content, tend to make women’s VO2 max level roughly 20 percent lower than men. Altitude. Your VO2 max decreases the less oxygen available to consume at higher altitudes. This is simply because there’s less air to consume at higher altitude. For that reason, you’ll typically have a 5 percent reduction in VO2 max for every 5,000 feet gained in altitude. How To Find Your Vo2 Max? VO2 max can be assessed through various methods of physical evaluations. These can be direct or indirect. The scientific method takes place in a laboratory setting under a strict protocol. The best way to measure your VO2 max is performed in a human performance lab with a treadmill or cycle ergometer test, performed with an oxygen mask. During the test, the athlete breathes into an oxygen mask to measure the amount and gas concentrations of inspired and expired air, while performing all-out effort exercise. Typically, the athlete will reach their VO2 max when oxygen consumption remains constant at a steady state despite an increase in training intensity. Direct testing is often used in research and is considered, so far, the most accurate. But here’s the downside. This method also requires access to expensive laboratory equipment that most (typical) trainees do not have laying around the house. So what should you do here? If you’re not an elite athlete, fret no more—that isn’t the only way to gauge VO2 max. Outside of the lab setting, there are a few reliable performance tests for that. One of these methods that stood the test of time is the Cooper 12-minute run Test. This approach is widely used by coaches and fitness enthusiast as it requires little equipment, and it offers a rough, yet very reliable, estimate of VO2 Max. The Cooper Method is an approximation formula developed by Dr. Kenneth Cooper, a leading authority on aerobic fitness and exercise science, and the guy often held as the “inventor” of aerobics. The test was initially used to measure the VO2 max of military staff. After thorough research, Dr. Cooper found a high correlation between the distance an individual could run or walk and their Vo2max. Out of this correlation, the Cooper test was born. Take the test on a flat surface or track at a stadium for a precisely measured road. You can either time yourself or have an assistant record the distance/time you cover during the test. Warm up for 10 minutes. Brisk walk for 5 minutes, then do a set of dynamic stretches to get your body ready. Next, start the stopwatch, then run as hard as you can in 12 minutes. Last up, record the distance covered to the nearest 10 meters. 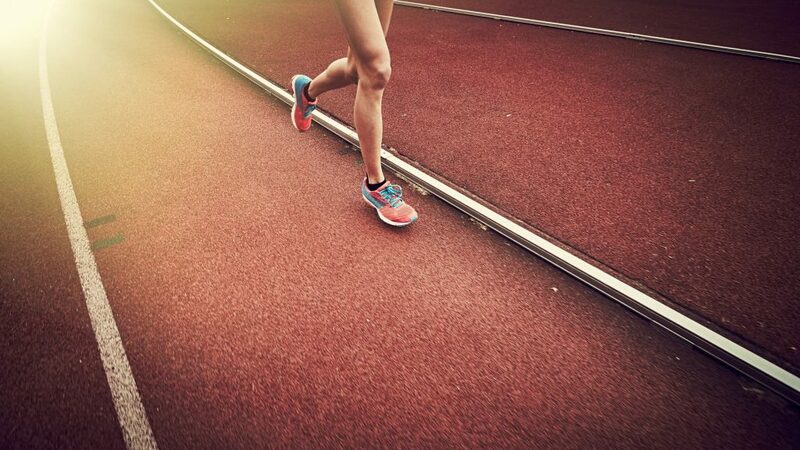 (Use the track, roughly 400m/437 yards per lap, to work out your overall distance). Then compare and contrast your results. If you are a complete beginner, then take walk breaks or do a walk/run version of the Cooper method. However, I strongly encourage you to push yourself as hard as you can to cover the longest distance possible. The Cooper Test method comes with its own norm tables for general guidelines for reading the results of the Cooper Test. Example: Mike warms up for 10 minutes and then times himself for 12 minutes, aiming to cover as much distance as possible. VO2 Max = 3600 –504.9/44.73 = 69.19 ml/kg/m. There you have it. Chances are, if you’re a regular runner, then you should at least score within the average VO2 Max category. That said, if you ended up in the below average, or poor category, then don’t lose hope. The best thing you can do to increase your VO2 max is to train regularly and do plenty of high-intensity interval training workouts. I hope you found the VO2 Max charts shared helpful and informative. If it’s not the case, then freel free to shoot me an email if you have any question or remark. In the meantime, thank you for reading my VO2max introduction post. Please stay strong, and train hard.